Snap your handstands, your workouts, your splits – turn Oxford flipping mad! We will tweet you, stick them on the gymsta and use the hashtag #upsidedownoxford. You might even make OUGym postcards that we can sell and use at freshers’ fairs! 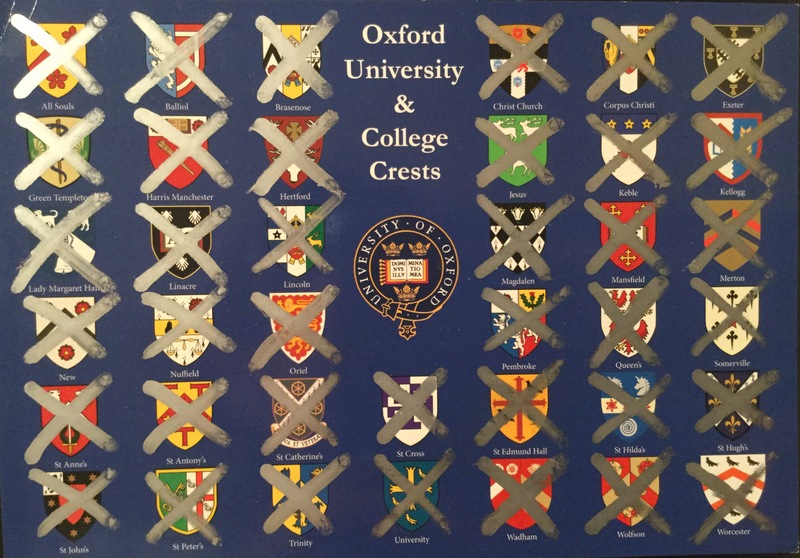 It’s a race to cross off as many colleges and famous Oxford sights as you can, and there are bonus points too! Can you include Bob the porter? What about your tutor? Photobomb the Master?